Hello, dear artists! 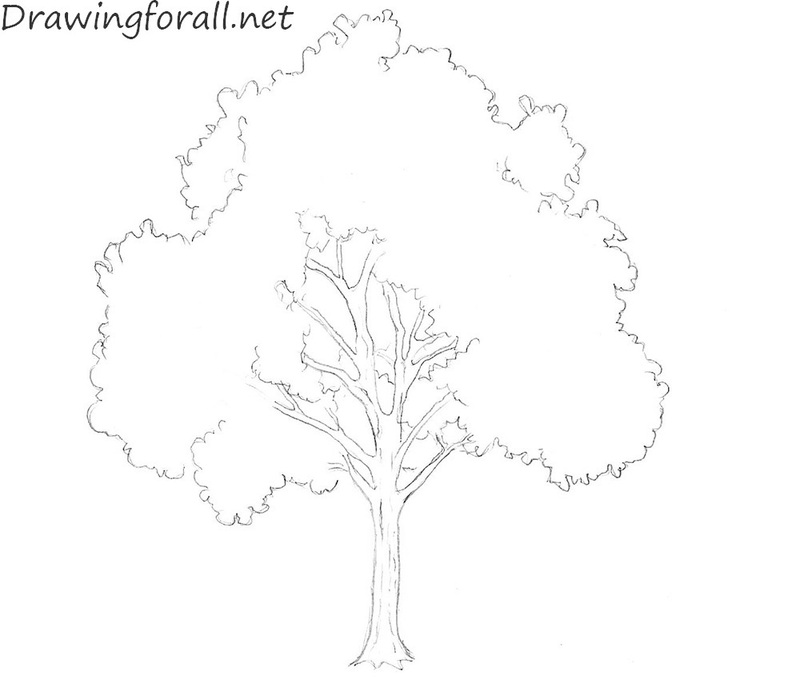 In today’s drawing lesson, we will show you how to draw a tree for beginners. 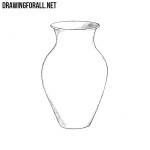 We have divided the tutorial into several steps to make the process of drawing as clear as possible. So, let’s start the tutorial! 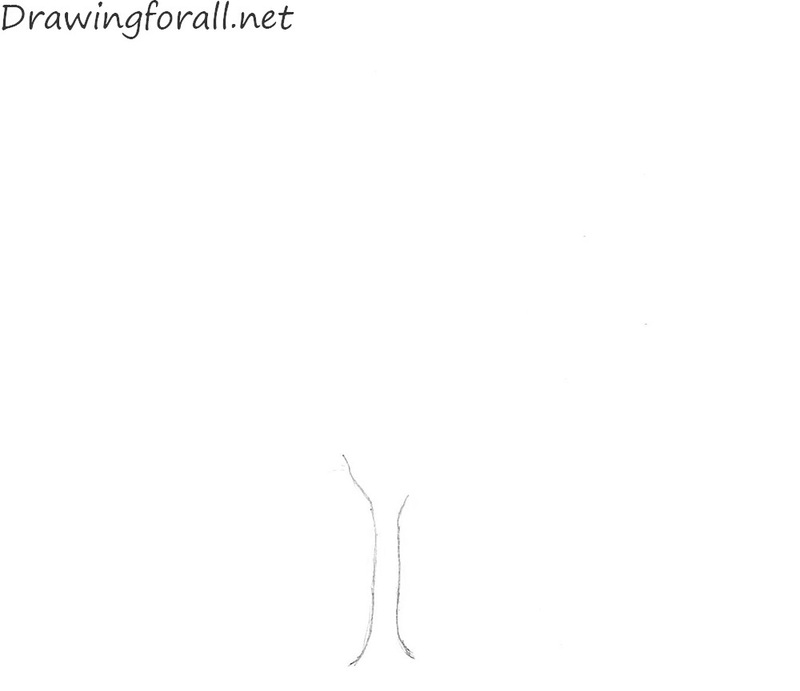 Due to the fact that the trees are growing from ground up, we will draw the tree from down up. 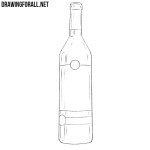 At first using two lines draw the tree trunk. Using curved lines draw the tree branches. 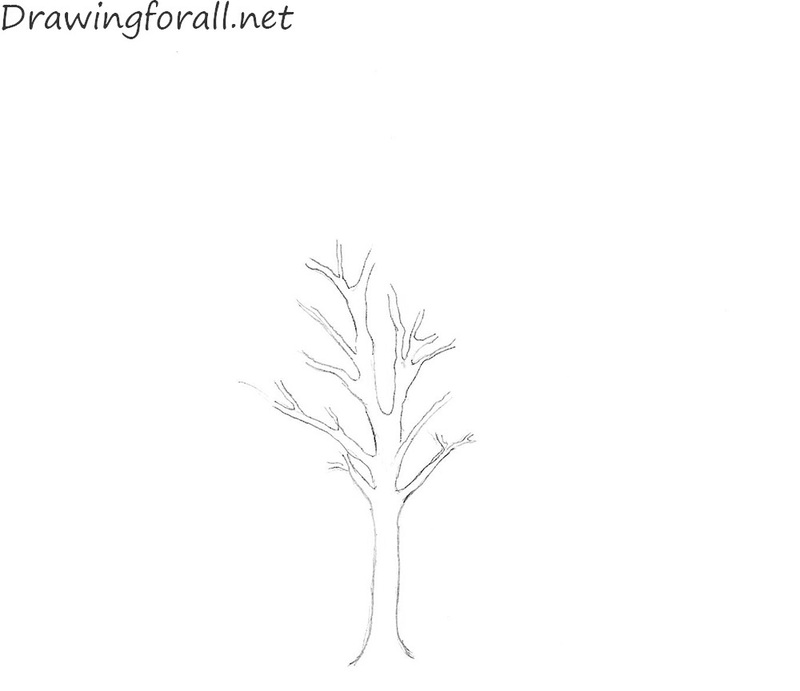 Draw the branches from down to up and sides. 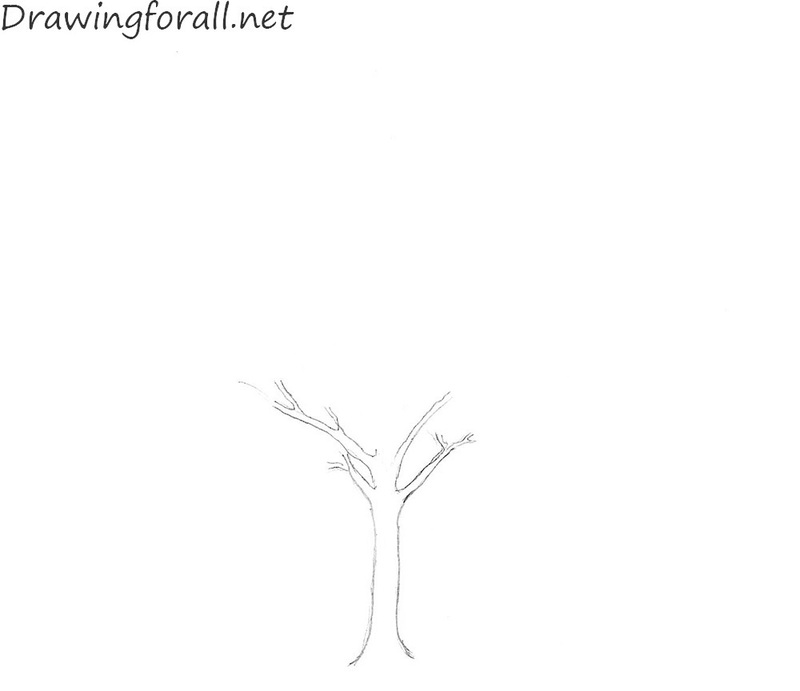 Continue drawing branches. 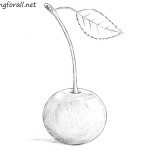 Use your creativity to form your own outlines of branches. Using wavy line draw contours of the tree crown. Using vertical lines draw the texture of bark. 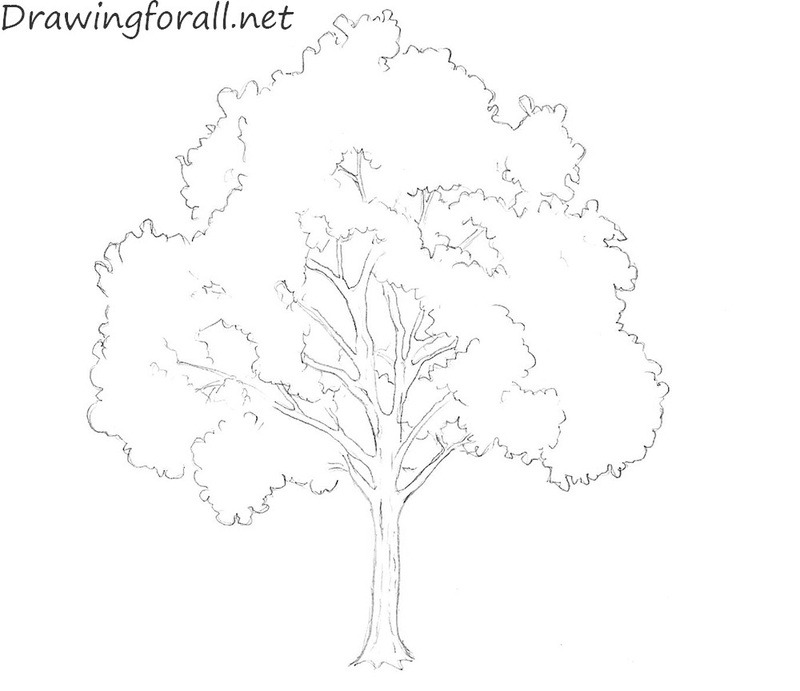 Draw inner outlines of the leaves and branches. Using irregular wavy lines, add more leaves, branches and twigs as in our example. 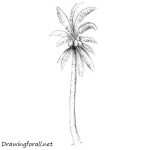 It was the drawing lesson on how to draw a tree for beginners. We hope this tutorial was interesting and informative for you. Draw different trees applying this method to improve your drawing skills. 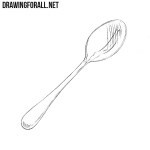 Watch at trees on photos and real life and draw, because the best teacher is a practice. Goodbye!